Finally, Robert Cialdini agrees with Graham Jones....! Finally, Robert Cialdini agrees with Graham Jones….! For years, Professor Robert Cialdini has proposed his six principles of persuasion. For years, I have been teaching that these principles appear to miss out an important aspect of psychology – priming. Now, at last, Professor Cialdini has added a seventh principle to his theory, something he calls “Unity” in his new book, Pre-suasion. Essentially, his unity idea appears to me to be associated with priming. Priming is a memory effect – we tend to associate something more quickly when our memory is triggered in some way. The new unity principle is about having a shared identity – we see something in someone else that matches something in ourselves and we are more likely to be persuaded by them. But we can only see that connection if a memory is triggered. That’s priming. Scarcity – if something is in short supply, survival instincts kick in to make people want it all the more. You can remember the six principles using the mnemonic “R-CLASS”. Now Professor Cialdini has reviewed the research evidence and added principle number 7 – “Unity”. 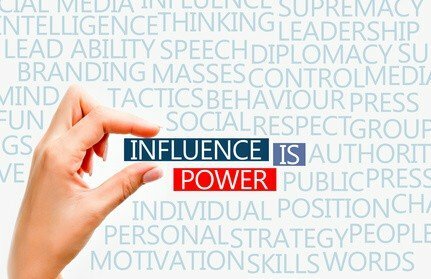 This is the notion, effectively, that the subtle use of words and images can prime a person to believe they are much more connected to the influencer. At last…! I have been saying to audiences and students for many years that the six principles of persuasion depend on upon this aspect of priming. Woohoo…! It turns out that I am right. The front page image for the hotel’s website showed a smart-suited, middle-aged man, having just stepped out of an expensive car. He was carrying a designer briefcase as he strode towards the front of the hotel. “That’s simply not a wedding venue, is it?” asked my neighbour. She saw the image within fractions of a second and had been primed to think that this was a business hotel. In fact, it was a lovely venue used mostly for weddings, so quite why the front page picture on the website was different to their primary clientele mystified me. Even so, my neighbour was not going to be persuaded. No amount of reciprocity, such as a free download on organising a wedding, or social proof, such as reviews from other brides, was going to influence my neighbour. Her mind was already made up. The new principle of persuasion from Professor Cialdini is seen in this example. My neighbour did not experience any shared identity between her and that hotel – the website simply wasn’t “her”. Online, the unity principle is more important than the other six, well-established, methods of persuasion. In order to gain social proof, or to benefit from reciprocity you need to have people on your website for minutes. The average time people spend on a site is three seconds. They disappear immediately upon opening a web page because their brain tells them “this isn’t you”. There is no shared identity between the website they are viewing and themselves. This is why it is fundamental that you understand your website audience in fine detail so that you produce web pages that match them exactly. That way they will stay on your site, and they will then be open to persuasion using the other six principles of influence.